Severe / Morbid obesity is being increasingly recognized as a major health threat in India. The diseases that are negatively impacted by excessive weight include cancer, heart disease and diabetes. If a patient’s body mass index (BMI) is over 30 plus serious medical problems like hypertension, diabetes cholesterol etc are existent then medically it may be advised to choose bariatric surgery. Surgery to challenge obesity is usually considered as the last option but it is the most effective option if chosen and implemented properly. Obesity surgery is advised to those who are well informed, motivated and acceptable to surgical risks. Morbid obesity problem in India is growing rapidly which has further fuelled obesity surgery infrastructure in India. India’s strong economy has given rise to modern comforts and the result is many people are becoming fatter due to sedentary lifestyles. 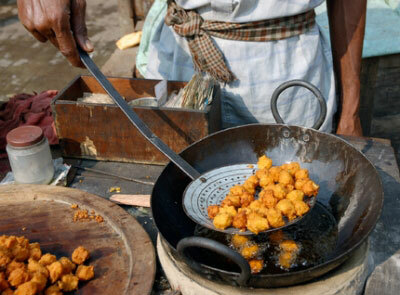 India’s fast-food industry has seen an explosive growth and this has brought about a dramatic change in eating habits. Families are increasingly spending more time and money on restaurants, fast food joints and processed food. These people, like Westerners, are seeking medical assistance. In India, society increasingly stigmatizes overweight people. These people, like Westerners, are seeking medical assistance to reduce obesity. Over the years, technical advancement across the world has reflected in India hospitals as well with the arrival of modern laparoscopic equipments, Bariatric instrumentation and other infrastructure used in bariatric surgery. Mumbai, New Delhi, Banglore, Chennai are some of the many Indian cities with popular weight loss surgery centers. Bariatric surgery in leading hosptials in India like, Wockhardt, Artemis, Apollo and Fortis is low priced & affordable compare to many other countries. The procedures also have advanced with changing times. For instance, any patient wishing to undergo weight loss surgery is given a preoperative evaluation that includes modern techniques like psychology evaluation, GI x-ray, blood test for bacteria in the stomach, blood counts, blood urea, liver function tests etc. Only after the preop evaluation is the nutrition charts and surgery date fixed. Numerous Indian born physicians and surgeons trained and experienced in United States and Great Britain have endeavored to return to India. All of these surgeons are super specialists in bariatric surgery and some of them have received fellowships in metabolic & gastrointestinal surgery from some reputed institutions abroad. Gastric sleeve is a relatively new procedure but it is catching the imaginations of people considering weight loss surgery. Gastric sleeve is a stand alone procedure considered usually for anyone with BMI over 35. It was first done in England in 2002 and has since been performed with good results in other parts of the world. Sleeve gastrectomy (VSG) involves removing a major portion of the stomach. Once performed this surgery cannot be reversed. Gastric sleeve in India has been around for some time. Patients who have come to India for gastric sleeve have claimed that the treatment provided by Indian obesity surgeons have been very satisfactory and cost effective. Gastric bypass is a major surgery and is for seriously obese people. It is designed for people who have a BMI more than 40 or 100lbs overweight. The procedure usually takes 90 minutes to 180 minutes. Patients are able to get to their feet by the end of the day and can leave the hospital in 3-4 days. Surgical recovery requires about 45 days. Substantial weight loss will occur in the first 18 months. Gastric bypass is a complex procedure and can be very expensive in the U.S. or the UK. Hence many people seek to reduce these costs by traveling to India. Gastric bypass surgery India in cities like Mumbai, Delhi, Chennai and Bangalore compares with the best of world and comes at much cheaper cost. Certain bariatric surgeons in India have had international training and experience hence they understand US and UK culture and have no difficulty in communications. Obesity Surgery in India, U.S. and U.K. Cost is an important factor when considering obesity surgery in India. Needless to say, there is a huge cost benefit — as much as 30% to 70% less as compared to US and UK. Even with airfare, the cost of obesity surgery in India can be considerably cheaper, and the quality of services is often on par with the treatment found in the US and UK. Cost savings is not the only benefit though. Indian medical system and bariatric procedures come up to US and UK hospitals standards. Obesity surgery hospitals in India have access to experienced surgeons, endocrinologists, dieticians, anesthesiologists, psychologists and psychiatrists, cardiologists, gastroenterologists, pulmonologists, and supportive staff. For instance, just before obesity surgery in India, patients are first accessed by a Nutrition therapist for nutritional related mattes. This is followed by a General Physician assessment for medical associated diseases. To assess cardio-related problems, a complete cardio work up by the Cardiologist is done. The final assessment before the chief operating surgeon comes in is done by the endocrinologist. The surgery begins only after the above physicians are satisfied that surgery can proceed without any complications & is will be beneficial to the patient. In addition to a good medical care system, India also features a very minimal to zero waiting lists unlike European or Canadian hospitals. With the medical treatment costs rising with every passing day, India is capitalizing on its highly trained doctors and low costs advantage to appeal to the flocking medical tourists. Many bariatric surgeons in India have education, training, certifications and experience from western countries. In addition, India is a culturally rich country and offers many healthy spots to recuperate in peace or to go on sigh-seeing after the recovery. Many patients usually combine their surgery with a trip to sandy beaches of Goa or the enchanting Taj Mahal. Almost everyone in urban areas can speak or at least understand English. Medical Tourism Corporation facilitates low cost weight loss surgery at various hospitals in India and abroad. Fill out the free estimate request form for a free quote & more information.